ANDREW Hume, of 42 George Street, Dumfries, thought that he had been through all a man could bear. 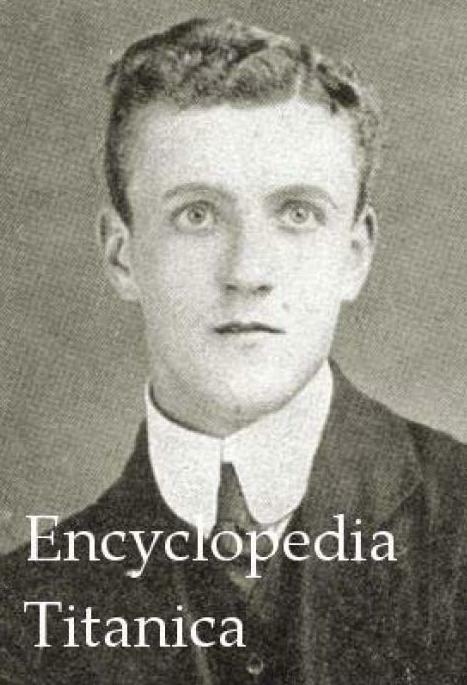 His son John - known as ‘Jock’ in the Scottish tradition – perished in the Titanic disaster. Jock, the band’s violinist, was only 21 when he died in the freezing seawater. His father, an accomplished musician who had tutored his son from an early age, was understandably distraught at his searing loss. But he was comforted by the constant assurances of others that his son had died a hero. Two years later Jock Hume’s father was to be dealt another indescribable blow. He received the painful and prostrating news that his daughter Grace, aged only 22, had been tortured unto death by German soldiers on the Western Front. The father had been told of Grace’s horrible killing by another daughter, Kate, perhaps only a week before the shocking details were reported in the Press. Andrew Hume lost no time. He immediately wrote to the War Office seeking fuller details of what had taken place in the attack on the hospital in Vilvorde, Belgium. The news meanwhile raced around Dumfries. How could such appalling agonies visit a local family twice in two years? The local newspaper, the Dumfries Standard, quickly learned of the outrage and was the first to break what would be a major story across the newspapers of the nation. The paper sought from Kate, and received, permission to carry the contents of the letter. It also published a facsimile of the girl’s dying note to her loved ones. The story – which amounted to a bone-chilling vindication of Britain’s decision to wage on Germany in defence of little Belgium weeks earlier – was said to be particularly well authenticated. It was further published by a number of London evening papers of repute, including the Pall Mall Gazette and Westminster Gazette, the Globe, Star, and others. Astoundingly, the deeply disturbing incident would lead to a full criminal trial – which was held in Dumfries itself. This time a third family member would be swept up in the horror. Because it was Kate Hume who was put on trial! Kate Hume, seventeen, was charged at Dumfries yesterday, before Sheriff Substitute Primrose, with having uttered a forged letter purporting to have been written by her sister, Nurse Grace Hume in Huddersfield. She declined to make any statement, on the advice of her agent, and was committed to prison to await trial. The Times, on earlier learning that the story was utterly false – the alive-andkicking Grace Hume had raised a hue and cry in Huddersfield as soon as the reports were published – called for an immediate inquiry. The remaining fact is that her sister in Dumfries states, according to the Yorkshire Post, that she was visited by a "Nurse Mullard," professing to be a nurse from Belgium, who told her the story and gave her the letter from her sister in a handwriting that resembled her sister's. 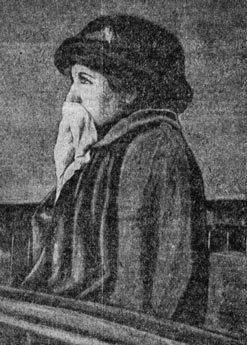 The case eventually came to trail three months later, Kate Hume having been arrested and detained in custody from the moment her sister discredited the story by proving she was still among the living. (From our correspondent) Edinburgh, December 28. In September last it was published in Dumfries a story of German atrocities, the alleged victim being a young Dumfries nurse. The authorities investigated the story and as a result a young girl of prepossessing appearance named Kate Hume was tried here today in the High Court before the Lord Justice General, Lord Strathclyde, and a jury on a charge of fabricating and forging the two letters which embodied the story of the atrocities. The accused, who was aged 17, pleaded not guilty and entered an alternative plea to the effect that she was not at the time responsible for what she did. Wearing a fur hat and stole and long blue serge jacket, she was for the most part quite cool and collected. When, however, reference was made to the loss of her brother in the Titanic, she broke down. The hearing of evidence took up and entire day, and the case was adjourned ‘til tomorrow for the hearing of counsel on the evidence. The most dramatic moment was when the accused entered the witness box and admitted to her own counsel that she wrote the letters. She had no object in view, and did not know why she wrote them, but the doings of the Germans had got on her nerves, and she was so worked up that she believed what she wrote. Distinguished mental experts testified that the accused at the time was suffering from a species of hysteria. Kate Hume, who was a clerk employed at Dumfries, was indicted for having concocted and fabricated letters declaring that her sister Grace Hume had been subjected to brutalities in Vilvorde, near Brussels, which resulted in her death. The indictment stated that this the prisoner did with the intention of alarming and annoying the lieges, and in particular her father, Andrew Hume, and stepmother Alice Mary Hume, of George Street, Dumfries. At the time of the alleged outrage, Miss Grace Hume was engaged as a nurse at Huddersfield. Early in September a letter purporting to come from Grace Hume from Belgium was received by the accused, saying she had been mutilated, and another letter from a nurse at the Front named J. M. Mullard, recounting the death of Grace. The prisoner, who has been in custody for thirteen weeks, pleaded not guilty and further pleaded specially and as an alternative that when the alleged offence was said to have been committed her mind was so unbalanced that she could not and did not understand what she was doing or the effect thereof, and was not responsible. Mr Andrew Hume was at once called. He is a teacher of music at Dumfries. He stated that he had married a second time and that before his first wife died he had several children. His son John was lost in the Titanic. 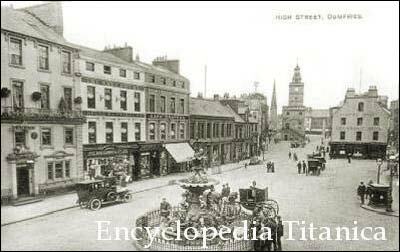 His daughter Grace was formerly engaged as a nurse at Huddersfield, and the accused left his house in August last and went into lodgings in Dumfries. He heard in September last of the supposed death of his daughter Grace at the Front. It came to his knowledge by letters which contained an account of what was supposed to have befallen her. In reply to Mr Wilson the witness said his first wife was an invalid for about eight years and for some time before her death she was subject to fits of depression. Is it the case that your son John and daughter Kate were very much bound up in each other? – Yes, very much. And did she take the death of her mother very much to heart? – Yes. Looking back upon the last two years, do you say she has ever been the same girl since? – She has not. In answer to further questions, Mr Hume said his grandfather was a notable musical composer, having written, among other pieces, the ‘Emigrant’s Farewell.’ The accused had displayed marked musical talent. The only trouble with her stepmother was that his daughter wanted to get more and more liberty. He did not think his daughter was capable of doing anything of this sort for the purposes of injuring him. There was nothing to cause her to act in such a way towards her stepmother. Mrs Hume, the stepmother, said that the accused was rather a headstrong girl, who resented any interference. She left and took lodgings, the witness believed, because she wanted more liberty to get out. Their relations became a little strained. She was rather excitable and childish for her years. A Mrs McMinn, of Dumfries, said the accused came to lodge with her. The reason she gave for this was because she was unhappy at home. She always seemed a bright and intelligent girl. Miss McMinn, daughter of Mrs McMinn, also stated that the girl was intelligent, and did not seem to be mentally affected. The sister, Grace Hume, aged 22, explained that she was engaged for a time in nursing at Huddersfield and had not written to her sister. She was rather startled to hear of her own death. (Laughter). Her sister was very fond of her brother John, but the witness did not know that his death brought about any change in her. The witness did not consider her emotional or excitable, or particularly clever. The Lord Advocate: Not so clever as you are – That is impossible. (Laughter). I never saw any mental weakness about her. The case for the Crown having concluded, the accused entered the witness box and gave evidence in her own defence. She told how, after her sister Grace went away, she did not hear from her and came to the conclusion that she was gone to the Front. She was in a depressed state, could not sleep at night, and suffered from headache. She had read a great deal of German cruelties to women and she got into her head that her sister had been killed at the front. “I had no intention,” she proceeded, “of causing any sensation or alarming my father, stepmother or anybody else. I do not know now why I wrote it, but I fancied what I said would be the way Grace would have written of her herself in her last minutes. I could fancy the whole thing as it was written, but I had no idea that anyone would see the letters. “I cannot say what made me do it, except the cruelties the Germans were committing. I was seeing and imagining the things I wrote. I cannot think why I wrote the name of Mullard, except that I believed a man of that name went down on the Titanic, and perhaps it got into my head, which at the time seemed to be turning around. Evidence was then given as to the mental condition of the accused. Sir Thomas Clouston, an expert in mental and nervous disease, expressed the opinion that the prisoner at the time was in a state of adolescent hysteria, and such conditions might have made her quite abnormal in fancy and in actions. The letters were stupid, inconsistent, illogical and absurd, and such as might have been written by a person in the condition he described. There was no suggestion that she was definitely insane or that she was wanting in ordinary intelligence, but she might conjure up in her mind vivid pictures which could not be distinguished from the real. In cross-examination, the witness said he could not certify her to be insane, but she was suffering at the time from a species of hysteria. Dr G. M. Robertson of the Royal Edinburgh Asylum, said the girl was intelligently alert, but the death of her brother might have reduced her to a condition of emotional excitement. 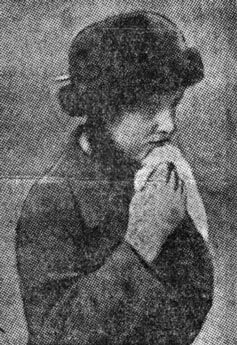 The trial of Kate Hume, aged 17, of Dumfries, was concluded today. The jury returned a verdict of Guilty with a recommendation to leniency. The Lord Justice General (Lord Strathclyde) said that seeing the accused had been in prison for three months, he would order her immediate release. His Lordship indicated that he would welcome a recommendation as to leniency. 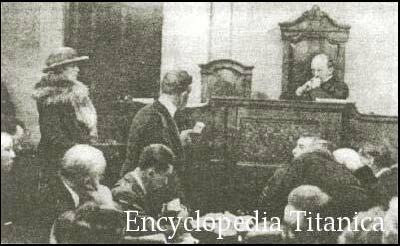 When after 17 minutes the jury returned their verdict it was couched in such ambiguous terms that counsel for the accused claimed it as a verdict of Not Guilty, but the foreman, on being appealed to by the judge, explained that it was a verdict of Guilty, with a strong recommendation to leniency. The accused, who had borne up remarkably well, collapsed on hearing that she was to be released, and was led sobbing from the dock. The verdict was received with applause. The judge in his summing -up occupied nearly fifty minutes. During his remarks the accused several times burst into tears. His Lordship said this was a peculiar and painful case. What had been proved was that the letters were both fabrications, that they had been fabricated by the accused, and that she deliberately authorised the handing-over of them to the newspaper reporter for publication. That constituted the crime. “It seems to me,” proceeded the judge, “that if she did fabricate the letters, there could be one motive and one motive only – to create a sensation, to alarm and horrify people by allegations of atrocities of an unspeakable and savage character. If they (the jury) found that she was hysterical at the time, it would not affect the crime, but it would affect seriously the degree of guilt, and might even lead to no further punishment being imposed. They will have noted her appearance in the witness box. She was composed, entirely free from excitement, and gave her answers clearly and distinctly. “It is not easy to believe that a girl who was labouring under such violent hysteria as has been suggested when she wrote the letters could speak so rationally about them only a few days later. There is much that might be commented upon in relation to this case about the nature of myth and propaganda. Whatever motivated Kate Hume to invent her story, it might also be imagined that the sensational newspaper coverage of the death of her brother in the RMS Titanic two years earlier had lodged in her mind – and might have generated a subconscious need for a renewal of the mass sympathy and thrilling attention then lavished on the family. If so, she was alone in her strange desire. It may also be that because there was never a family funeral for Jock – his body (No. 193) being buried in Halifax, Nova Scotia – that Kate somehow associated the loss of contact with Grace as equivalent to her brother’s eternal passing. 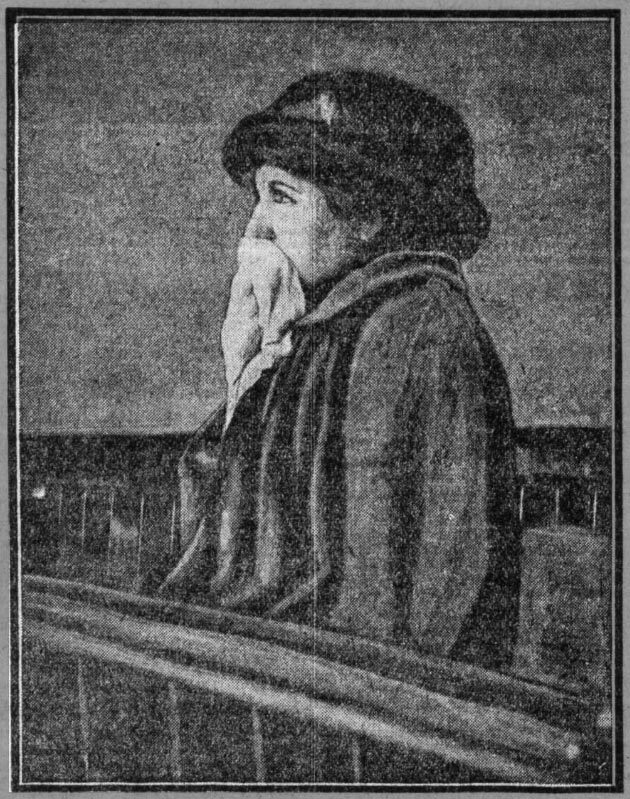 The celebrated case of the “Mutilated Nurse” made a chapter in a notable 1928 book. This seminal volume, Falsehood in Wartime, was written by Arthur Ponsonby, the Member of Parliament for the Scottish constituency of Stirling. It was republished in 1991 as a lesson for our time. Nearer the truth to thee… Titanic aficionados should perhaps also beware of falsehoods peddled in peacetime. Andrew Hume may have trusted what he was told, but at least he tried to verify it.